BOB GARFIELD: This week is “Shark Week,” on the Discovery Channel, the annual block of shark-centric programming watched by 53 million people last year. Begun in 1988, Shark Week has become a cultural touchstone. Witness the “30 Rock” episode, where Tracy Morgan’s character dispenses some advice to Kenneth, the Page. TRACY MORGAN: So here’s some advice I wish I would have got when I was your age: Live every week like it's Shark Week. BOB GARFIELD: Back in the ‘80s, David Shiffman was a small boy from Pittsburgh, who grew up enraptured by sharks and by "Shark Week." Now though, he is a marine biologist. And though he’s still a Shark Week watcher, he is now often appalled by the programming’s casual mix of fact and fiction. So Shiffman, who has served as an informal advisor to the series, has taken to tweeting corrections to the fiction and links to shark facts for his 18,000 followers. David, welcome to On the Media. DAVID SHIFFMAN: Thanks for having me. BOB GARFIELD: At some point, I gather, it began to dawn on you that the “info” part of the “tainment” was being overwhelmed by the “tainment” part. DAVID SHIFFMAN: It’s less the case of it dawning on me and more of a case of a, an actual shift in programming content. There have always been concerns that Shark Week focuses on stories about sharks biting people, which happen so rarely that multiple Shark Week specials often reference the same incident. Last year was sort of the last straw for me, when they aired a special called, “Megalodon: The Monster Shark Lives,” which claimed that a Carcharocles Megalodon is not, in fact, extinct. They’ve been extinct for about two million years. NARRATOR: Are Drake's calculations correct? Could there be a monster creature in these waters, deadlier than any known shark? [SOUND EFFECTS] A shark big enough to take down a whale? Collin Drake was looking for a monster, and he knew it. DAVID SHIFFMAN: The scientists and witnesses in the show were all actors. They had Photoshopped images that have since gone viral on social media. And this resulted in a great deal of fear among the viewing public. In an extremely long documentary - it was two hours – there is a confusingly worded disclaimer at the end for about three seconds. BOB GARFIELD: Now, I’m laughing. It’s so not funny. And you – and you say it’s getting worse. DAVID SHIFFMAN: Shark Week 2014 opened with “Shark of Darkness: The Wrath of Submarine,” which is about a mythical giant great white shark, falsely claiming that a fishing boat accident in which actual people died was attributable to this mythical giant shark that doesn’t exist. Last year, Shark Week aired a special called, “The Top Ten Deadliest Sharks” or something, and of the top ten deadliest sharks, five of them have never killed anyone. BOB GARFIELD: Now, you could just sit there and get aggravated, or you can act, and act you have. Give me an example of what a Shiffman tweet looks like. Science literary is falling and that’s bad for a lot of reasons. I recently learned that “Bigfoot Hunters” was renewed for sixth season, which means that people have watched for five seasons a group of folks trying and failing to find Bigfoot. BOB GARFIELD: One of the things that Shark Week does is exacerbate shark hysteria and impute onto wildlife a, a kind of evil. DAVID SHIFFMAN: There’s a great deal of evidence from the social science literature that suggest that how the media presents an environmental issue affects how the public perceives that environmental issue and affects what policymakers do about it. And sharks are in trouble; 24 percent of sharks, skates and rays are considered threatened with extinction by the IUCN Red List. That’s a lot! BOB GARFIELD: Are people going out and fishing for and killing sharks with impunity because we so fear them? DAVID SHIFFMAN: Not directly because of Shark Week but because of misportrayal and misrepresentation and misunderstanding of sharks that is perpetuated, in no small part, by Shark Week. BOB GARFIELD: I know as a scientist you’re frustrated by the excesses, but your entire life overlaps with the history of Shark Week. You are the [LAUGHS] Shark Week generation, and it’s influenced you a great deal. So what’s great about Shark Week? DAVID SHIFFMAN: Well, Shark Week does still have some extremely high quality science and conservation programming, the flagship of which is the Alien Sharks series, which focuses on the deep sea biodiversity, crazy weird sharks that people have never heard of, but are really amazing. 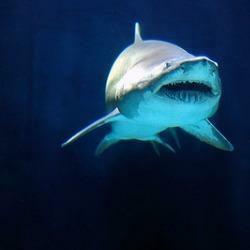 Shark Week gets people interested in sharks. It gets them talking about sharks. But imagine how much better that would be if they were promoting facts, instead of pseudo-science and fear mongering? BOB GARFIELD: David, thank you. BOB GARFIELD: David Shiffman is a marine biologist and a contributor to SouthernFriedScience.com. WOMAN: So it’s entirely possible that if it did exist, Submarine could still be alive today. So what do you say? Do you think Submarine is really out there, or is this shark tale too big and too bad to be believed? BOB GARFIELD: That’s it for this week's show. 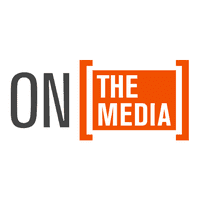 On the Media was produced by Sarah Abdurrahman, Chris Neary, Laura Mayer, Kimmie Regler and Meara Sharma. We had more help from Andrew Chugg, and our show was edited – by Brooke. The technical director is Jennifer Munson. Our engineer this week was Greg Rippin. BROOKE GLADSTONE: Katya Rogers is our Executive Producer. Jim Schachter is WNYC’s Vice President for News. Bassist composer Ben Allison wrote our theme. On the Media is produced by WNYC and distributed by NPR. I’m Brooke Gladstone.